An adaptive stroller has an immediate impact for families, it is a basic and fundamental need for getting around, and it allows kids with disabilities to be mobile in ways they could not before. 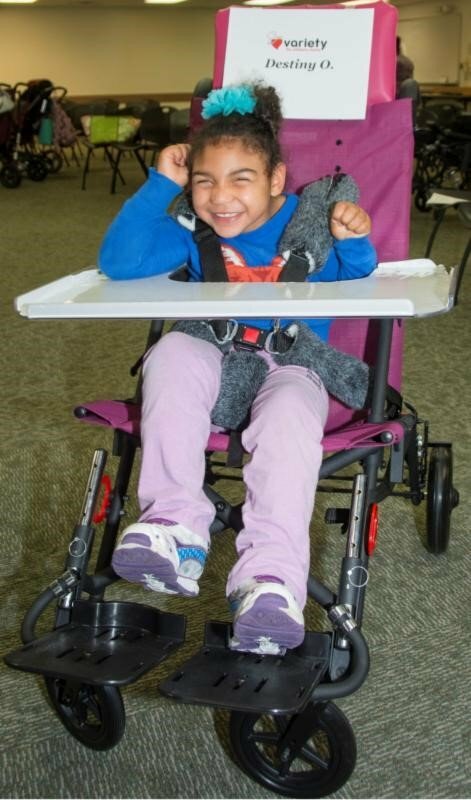 Destiny can’t hold back her excitement as she tries out her new adaptive stroller! 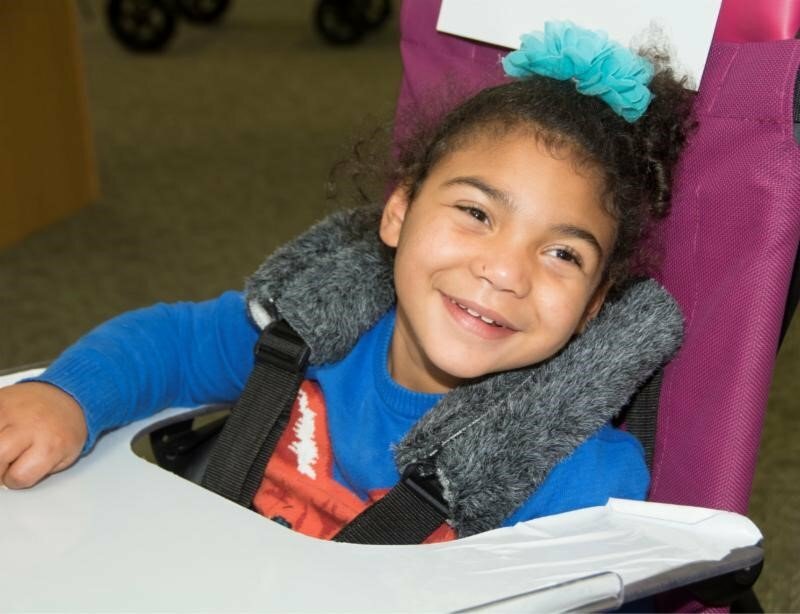 Destiny received her new adaptive stroller through Variety’s “My Stroller” Program, and as you can see, she was all smiles! For Destiny (and so many children like her), this stroller will be her primary method of mobility on a daily basis. Her mother, Stephanie explained that she will be applying for a power wheelchair, but it will need to be kept at school because they do not have a vehicle to transport it. Destiny also has an older stroller, but it needs to be repaired. “This new stroller will be her only method of getting around,” said Stephanie. The smile on her face says it all. At Variety, we could not accomplish these moments without the support and time of so many people throughout the community, and we thank you!